In 1926, there were no longer wolves in Yellowstone, once the natural habitat of this species. Between 1977 and the re-introduction in 1995, we have reliable reports of wolves being seen throughout the park. Most of them were either lone wolves or pairs, probably only transiting. Finally, in 1995, grey wolf packs were reintroduced in the Lamar Valley of Yellowstone National Park and Idaho. Before the extermination, the wolves living within the park belonged to the subspecies Northern Rocky Mountains wolf, Canis lupus irremotus. The reintroduced species of 1995 belong to the subspecies Mackenzie Valley wolf, Canis lupus occidentalis. The reintroduction of the wolves produced a more significant impact on the biodiversity of the Yellowstone than anticipated. The wolves’ predation on the elk population, until then unchallenged, produced a significant increase of new-growth in various plants. Aspen and willow trees, previously grazed by the elks more or less at will, got suddenly a chance to grow. With the presence of the wolves, the elks stopped venturing into deeper, and for them dangerous, thickets where they could easily be surprised. They began to avoid areas of low visibility, which would increase the chances of wolf attacks. The elks began avoiding open regions such as valley bottoms, open meadows, and gorges, where they would be at a disadvantage in case of an attack from a wolf pack. William J. Ripple and Robert L. Bestcha dubbed this process top-down control. In ecology, top-down control denotes that top predators regulate the lower sections of the trophic pyramid. In other words: a top predator controls the structure or population dynamics of a particular ecosystem. With new vegetation growing and expanding came subtle changes in the waterways running through the park. That had an impact on other species as well. Various bird species came back to Yellowstone national park with the increased number of trees. The beaver, previously extinct in the region, returned to the park. Their dams across the rivers attracted otters, muskrats, and reptiles. Probably due to the wolves keeping the coyote populations at bay, the red fox got suddenly a chance to survive because the number of rabbits and mice grew considerably. The raven, always the wolf follower, came back to the park as well, now able to feed on the leftovers of the wolves. The wolves changed the rivers in as much as they readdressed the lost balance within the region, one we had created when we exterminated them. With a better balance between predator and prey, top meat eaters and top grazers, came the possibility for other species to thrive. With the increased vegetation growth, erosion decreased, and the river banks stabilized. Every time we produce drastic changes in nature, we interfere deeply with the whole eco-system. Nature is indeed a beautiful act of balance. Chase, Alton (1986). Playing God in Yellowstone—The Destruction of America’s First National Park. Boston, MA: The Atlantic Monthly Press. Murie, Adolph (1940). Fauna of the National Parks of the United States-Ecology of the Coyote in the Yellowstone National Park (Report). U.S. Department of the Interior. Ripple, W; Beschta R: “Wolves and the Ecology of Fear: Can Predation Risk Structure”, page 761, “Bioscience”, 2004 Vol. 54 No. 8. 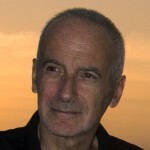 Urbigkit, Cat (2008). Yellowstone Wolves: A Chronicle of the Animal, the People, and the Politics. Blacksburg, VI: McDonald & Woodward Publishing. The Reintroduction of Gray Wolves to Yellowstone National Park and Central Idaho-Final Environmental Impact Statement (PDF) (Report). Denver, CO: U.S. Fish and Wildlife Service. 1994. 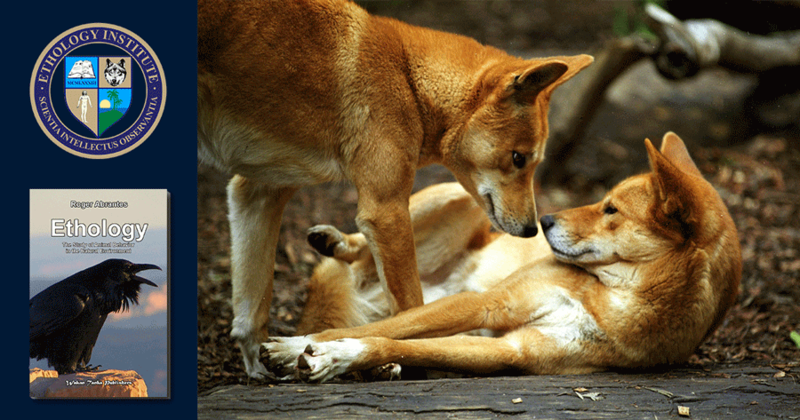 “Technical Publications on Wolves, 1995–2004” (PDF). Yellowstone Science 13 (1): 42–43. Winter 2005. 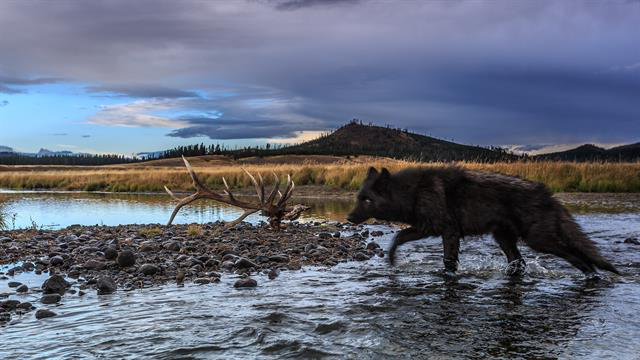 Featured image: The wolves changed the rivers of the Yellowstone. Picture by photographer Ronan Donovan, NG.